When an Ethiopian Airlines Boeing 737 MAX 8 jet crashed shortly after takeoff from Addis Ababa on Sunday morning, killing all 157 people aboard, observers quickly noted that the circumstances resembled those of another flight. In October, Lion Air Flight 610 crashed into the Java Sea, killing all 181 passengers and eight crew. Both flights plummeted a few minutes after takeoff, in good weather. And both were on 737 MAX 8 jets, the plane Boeing started delivering in 2017 to replace the outgoing 737 as the workhorse of the skies. Since 2017, Boeing has delivered 387 MAX 8s and 9s. It has taken orders for 4,400 more, from more than 100 customers. As of Tuesday evening, various foreign aviation regulators and airlines had decided that after the two crashes, the plane shouldn’t be in the air. Officials in the European Union, China, Indonesia, Singapore, Australia, and the United Arab Emirates have all grounded the planes. Of the 59 operators that fly the new 737, at least 30 have parked it. In the US, though, Boeing’s plane is free to fly. 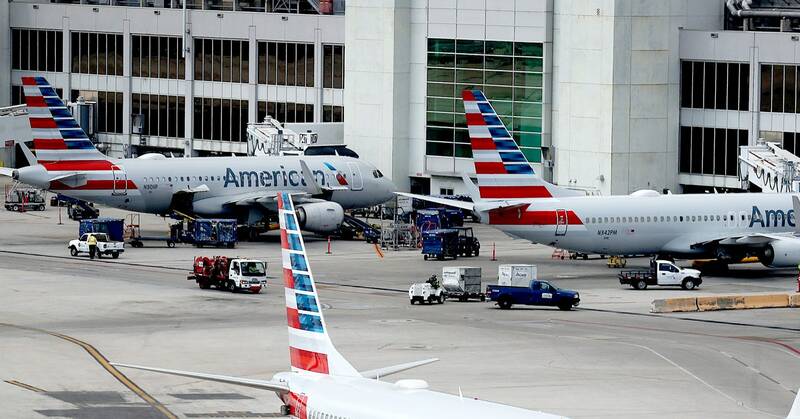 American Airlines, Southwest Airlines, and United Airlines are still putting their 737 MAX jets—74 in total—in the air. (So is Air Canada.) And the Federal Aviation Administration—the agency that oversees American airspace—says that’s just fine. Which might seem strange, since the FAA is notoriously safety-conscious. Planes in search of an airworthiness certificate must meet stringent standards; the certification process usually takes years. And it gets results: Just one person has died in American airspace on a commercial airplane since 2009. But, it seems, the agency has not yet found reason to ground the new 737. In a statement Tuesday, acting FAA administrator Daniel Elwell said the agency is looking at all the available data from 737 operators around the world, and that the review “thus far shows no systematic performance issues and provides no basis to order grounding aircraft.” Elwell said the FAA “would take immediate appropriate action” should such problems be identified. The FAA and the National Transportation Safety Board both have teams at the crash site outside Addis Ababa to investigate and collect data. The agency did note in a directive published Monday that it would probably mandate flight control system enhancements that Boeing is already working on, come April. And after the Lion Air crash, the FAA made a Boeing safety warning mandatory for US airlines. A number of senators, including Ted Cruz of Texas, Elizabeth Warren of Massachusetts, and Dianne Feinstein of California, have called for the US to ground the aircraft. But it’s the FAA chief who has final say. (Elwell has been the acting administrator since January 2018, though Politico reports that the Trump Administration is close to nominating Delta Air Lines executive Steve Dickson as administrator.) He doesn’t make that decision alone, says Clint Balog, a flight test pilot and human factors expert with the College of Aeronautics at Embry-Riddle University. Any grounding goes through a “semi-formal” process, full of discussions with experts on the specific aircraft and crash situation, both in- and outside the federal government. The FAA has grounded aircraft before. In 1979, the FAA grounded all McDonnell Douglas DC-10s (and forbid the aircraft from US airspace) after a crash in Chicago killed 273 people. An investigation found the problem was maintenance issues, not the aircraft design, the FAA lifted the prohibition just over a month later. So far, though, we have little concrete information on whatever might be going on with the 737 MAX. The investigation into the Ethiopia crash is in its earliest stages. Indonesia’s civil aviation authority has released a preliminary report on the Lion Air crash, but has not issued any findings on what caused it.